There are many species found across their very wide range. 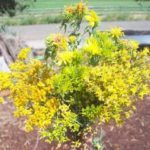 General: Erect, deciduous shrub, usually 20-60 cm tall (sometimes over 1 m), densely branches, often flat-topped; branches flexible, covered with grey, felt-like hairs. Leaves: Alternate, linear 3-6 cm long, about 1 mm wide, grey-velvety, not much twisted. 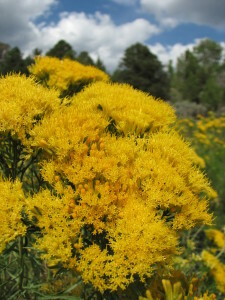 Flowerheads: Small, yellow heads of 5 disc florets, about 5 mm across; many flowerheads in dense clusters (cymes) at branch tips; involucral bracts rounded or abruptly pointed, not green tipped, August to October. Fruits: Hairy, linear achenes; pappus of white hairs. Where Found: Dry, open sites; plaines to montane; southern BC and Alberta to New Mexico, low elevation to high. 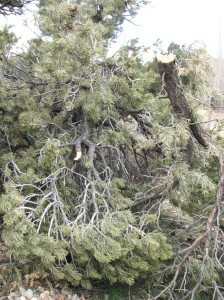 -Rabbitbrush branches were burned slowly to smoke hides and boughs were used to cover and carpet sweathouses. 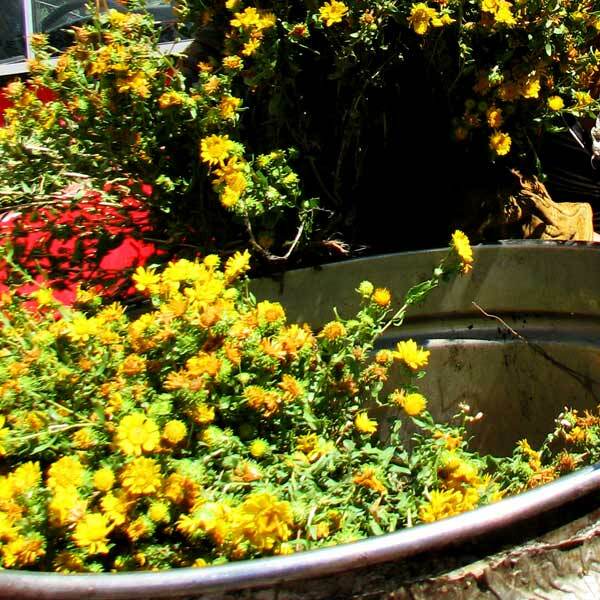 -Mature flowers were boiled for at least 6 hours to produce a lemon-yellow dye for wool, leather, and baskets. 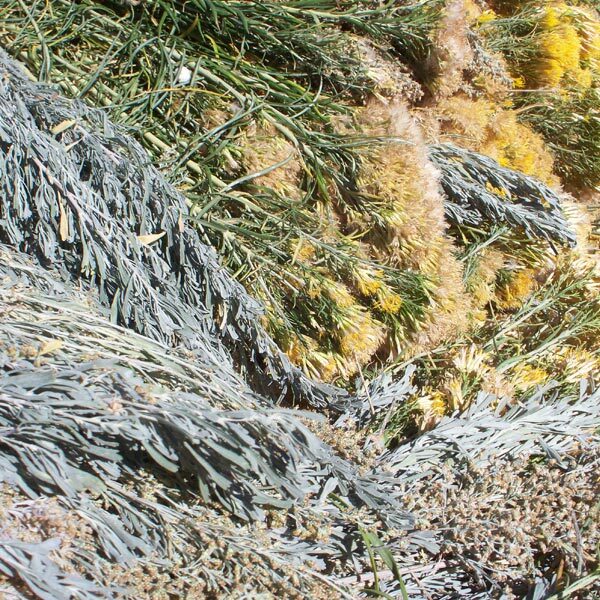 Alum was then added as a mordant, along with the wool or leather to be dyed, and boiled continued for about an hour. 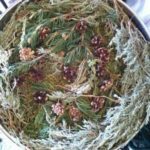 When dying baskest the flower and buds were boiled overnight and the basket material was then soaked in dye for about 12 hours. 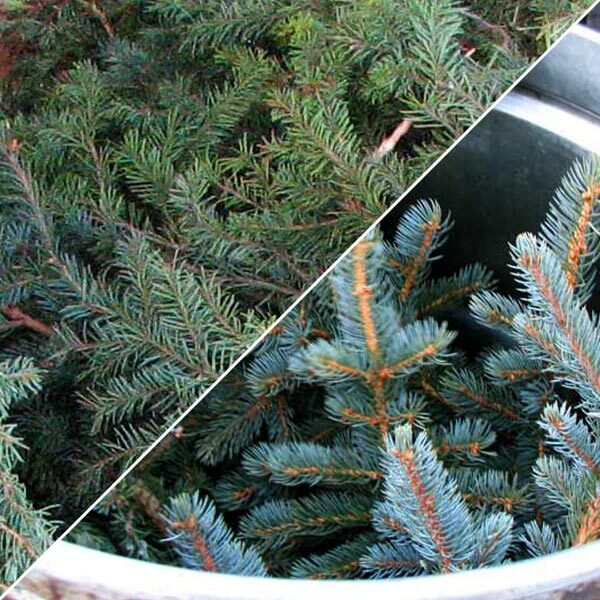 The inclusion of immature buds or twigs gave the dye a greenish tinge. 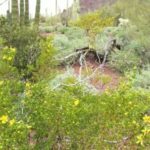 -The milky sap of these shrubs contains rubbery compounds and was extensively explored as a rubber source by the U.S. government in the 1950’s and early sixties. -Compounds being researched for nematicide. 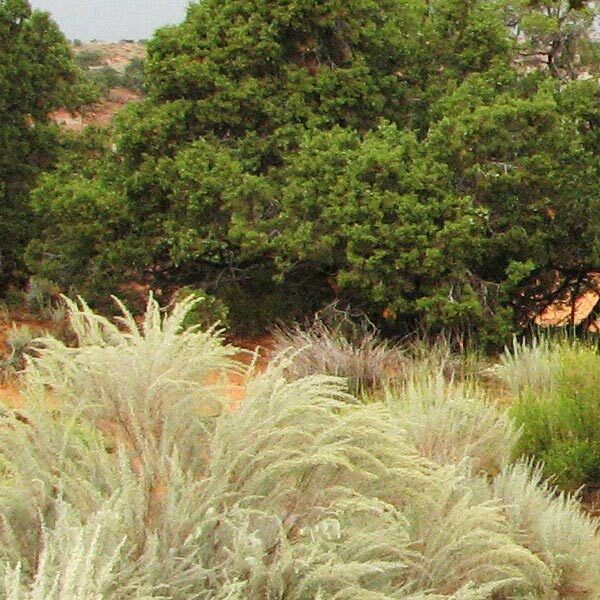 -The bark of the lower stem and roots of several species of rabbit brush was widely used as chewing gum. 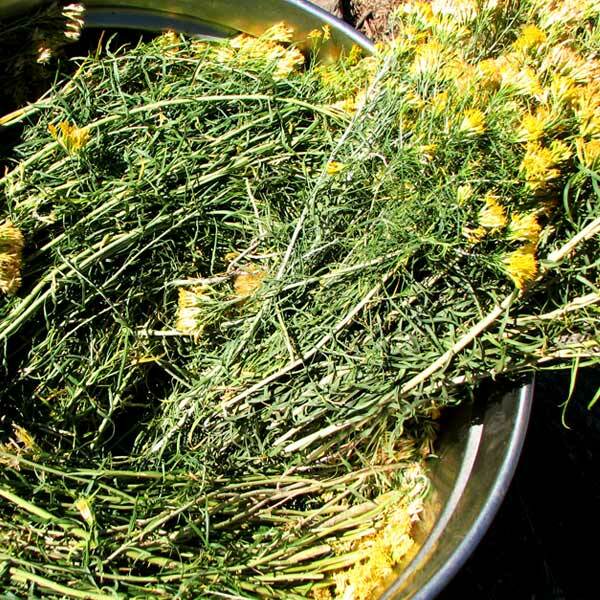 -The roots were boiled to make a strong decoction for treating coughs, fevers, colds and old internal injuries and for easing menstrual cramps. 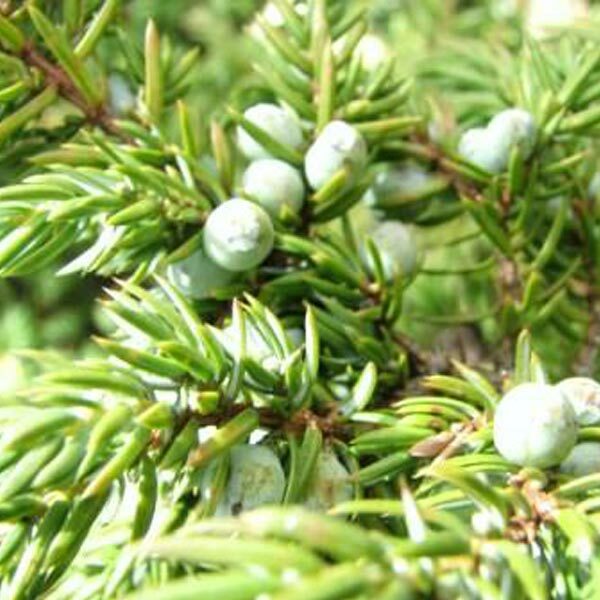 -To relieve headaches, the leaves were used to make a medicinal tea and it was applied as a lotion. -The leaf tea was taken internally to reduce fevers and relieve constipation, colds, and stomach problems. 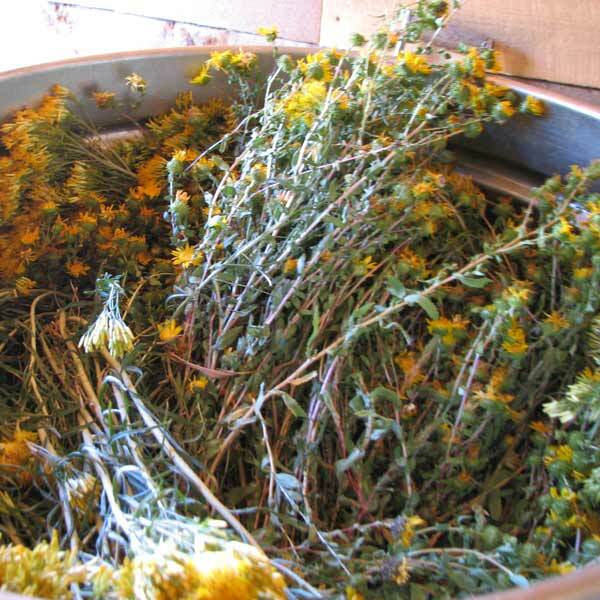 -Mashed rabbitbrush leaves were packed onto decayed teeth to relieve toothaches. Part distilled: Stalk and flower, pre-post bloom. 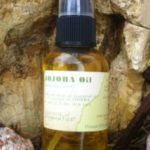 Blending: Blends well with citrus oils and high oxide oils. 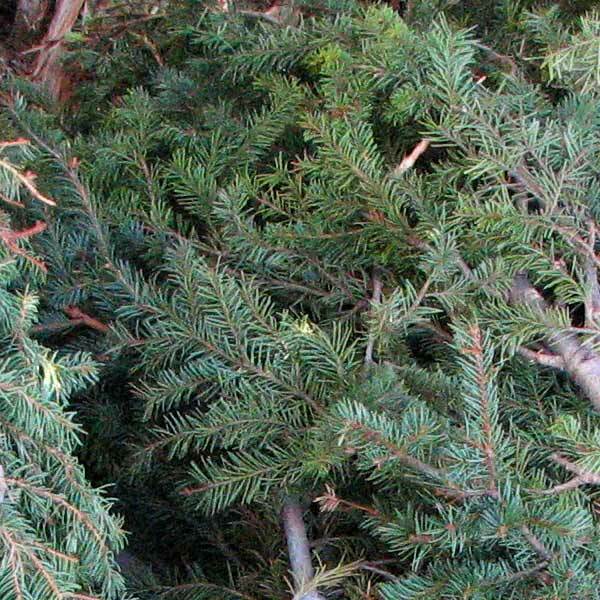 Aroma: Astringent, Coniferous, Cool, Earthy, Exotic, Herbaceous, Pungent, Slightly bitter, Woody, Spicy, Golden. Monoterpine Family These compounds are known to be effective against air born viruses among many other great attributes. Monoterpines are lypophylic meaning they absorb easily through the skin. Essential oils high in monoterpine compounds are often incorporated into cosmetics for their ability to help out constituents penetrate. Monoterpine isolates in research studies have shown them to be anti-bacterial/fungal/infectious/inflammatory/oxidant/spasmodic/viral, analgesic, cicatrisant, decongestant, expectorant, immuno-stimulant, mucolytic, rubefacient, and sedating – see below for definitions. 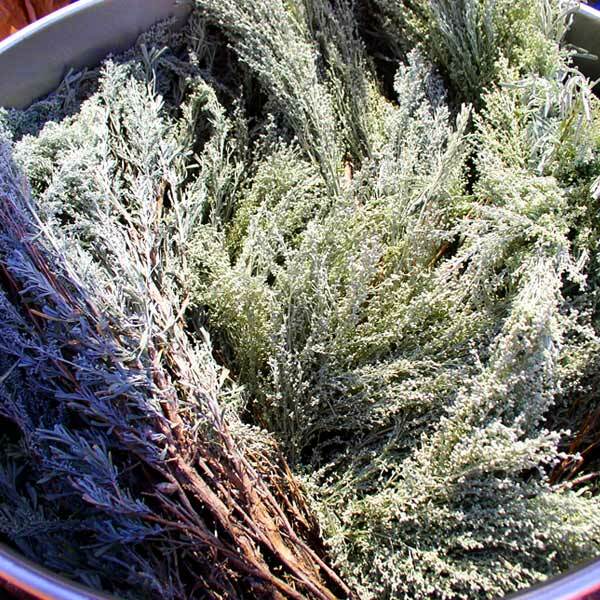 Monoterpines are not water soluble, so avoid using essential oils high in these compounds in the bath unless they are in a fatty substance like Jojoba oil or such. Delta Limonene makes up 40% of the chemical analysis. One of the main constituents that gives citrus its flavor, as citrus is high in mono-terpine compounds. Isolated limonene is used widely in the fragrant, flavoring, cosmetic and medical industry for its wide array of effects. Also being used as a solvent to degrease machine parts. Cis-beta-oscimine makes up 35 % of the meausred chemistry of Rabbit Brush essential oil. 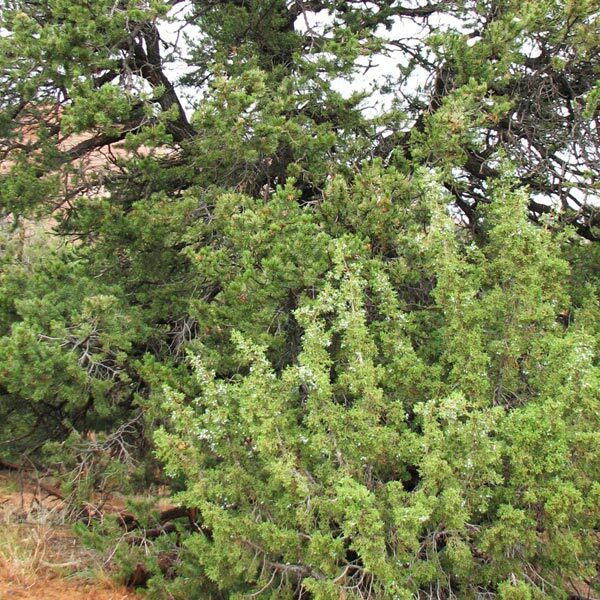 The “minor” chemical compounds include sesquiterpines, monoterpenols, sesquiterpenols, a few esters and aldehydes, miniscule ketones and oxides. What do these mean? Consider a course in basic essential oil chemistry from one of our colleagues you can find on our resource page. 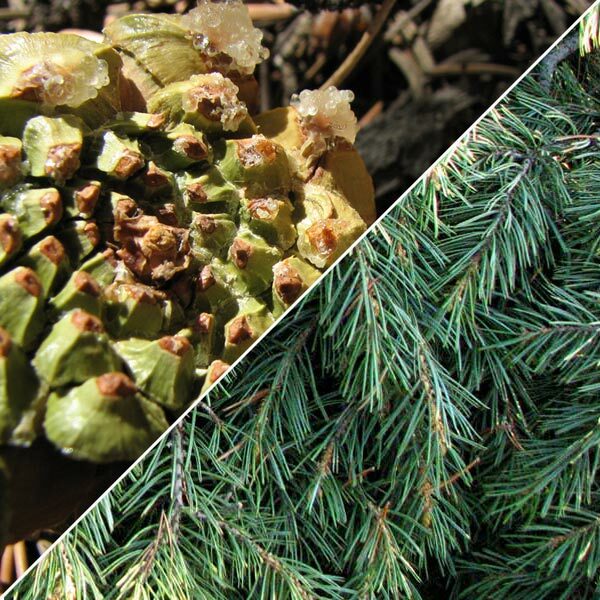 Monoterpenes: are effective airborne deodorizers and purifiers. They are emotionally uplifting and often provide an analgesic effect where muscle pain and stiffness are present. 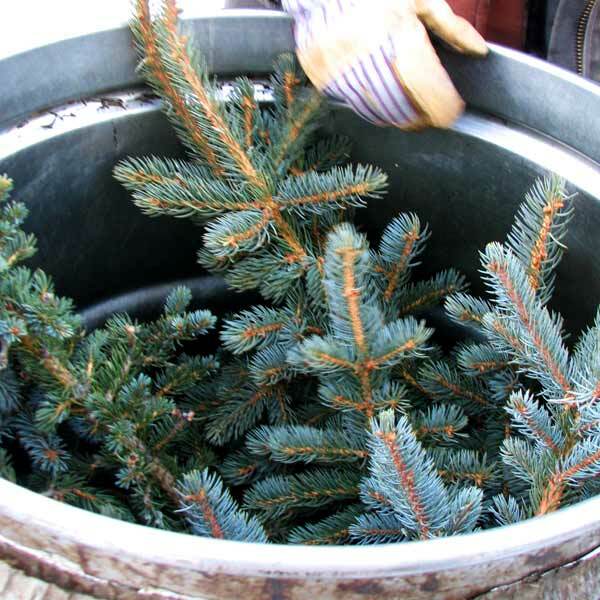 Safety: Oils high in monoterpenes can cause skin irritation or sensitization if they have oxidized, an important reason to store them well (cold and dark). Monoterpenes are not water-soluble; avoid in the bathtub unless they are well diluted in carrier oil or fatty substance like milk. 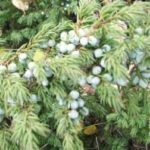 Actions: Activates white blood cells, analgesic, anti-inflammatory, antibacterial, antiobesity, antioxidant, antitumoral, antiulcerogenic, immunostimulant, skin penetration enhancer, mucolytic. -Helpful in clearing thick yellow mucous, coughs and colds. -Diffuse for protection, cleansing, uplifting energy. -Use with other high oxide oils for depression. Always use essential oils cautiously! Gratitude to Jaisy Jahan Zuberi and Ryan Bradley for thier legacy project in apprenticeship to House of Aromatics for compiling the information to create the plant profiles. No ! FDA Approval. This article is not meant to diagnose or treat any disease or condition. This profile is for education about traditional uses and what scientific research is learning about the complexity of phyto-chemistry. Do not use this document to treat or diagnose any dis-ease. Take your shoes and socks off and put your bare feet on the bare Earth. Sat a spell. Thanks to all of our friends and colleagues from whom we have been honored with so much wisdom, knowledge and elemental lore. General: Tree to 10 m tall; trunk up to .6 m in diameter, often dividing into several trunks at or near the base, bark light brown, crown egg-shaped broadening with age, branches upwardly angled. 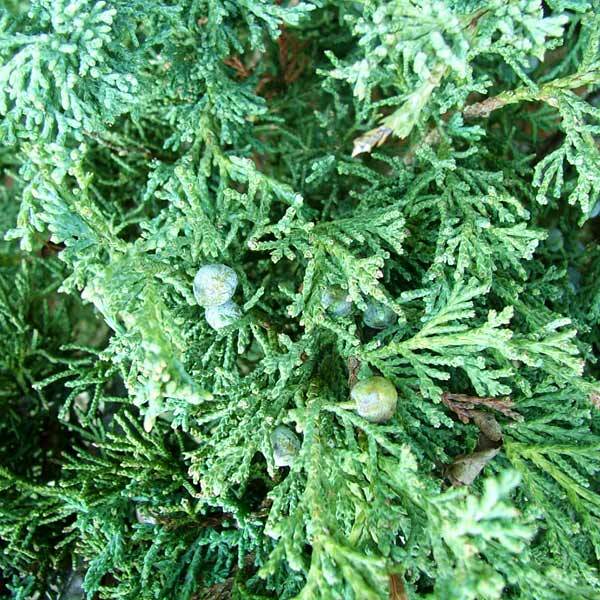 Buds: 5-10 mm long, resinous, needles in bundles or 1 or 2 or 3 each needle 2.45 cm long gently curved, stiff, sticking together, last 4-9 years. Cone/Seeds: Cones mature in 2 years; Pollen cones 7-10 mm long, yellowish, brown; seed cones 3.5-5 cm long, broadly egg shaped to nearly spherical with 15-40 seed scales, green before maturity, ripening yellowish brown, opening widely to release seeds, falling unstalked or very short stalked. -The succulent and sweet inner bark has been used as a thickening agent in cooking. content and high protein. Perhaps you’ve experienced them in a gourmet dish. 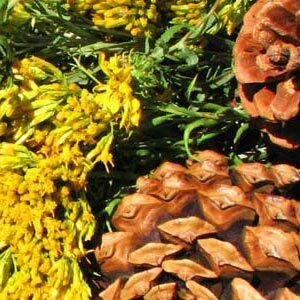 – Pine-needle tea (not just Pinion) is high in vitamin A and C. Drunk tonically in the winter for its fresh, zesty flavor, this tea helped prevent and cure scurvy. – Tea steam was inhaled for all sorts of chronic/acute respiratory issues. – Diffused steam was used to freshen the air. – Fresh tea was used for its anti-septic properties. 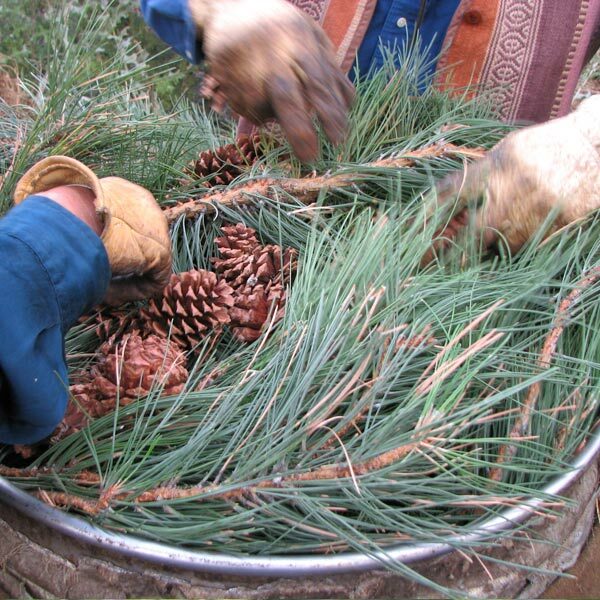 – Some tribes used the strong pine-needle (not just Pinion) tea as a contraceptive. – The inner bark was used as a dressing for scalds, burns, and skin infections. 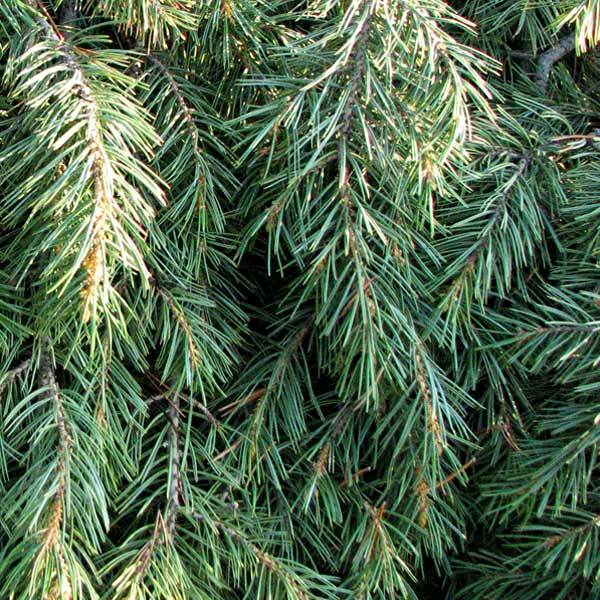 – Pine pitch was chewed to soothe sore throats and sweeten bad breath and was taken internally to treat kidney problems and tuberculosis. Also used for sore gums and general gum health. 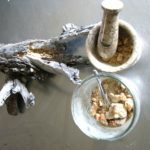 – Warmed sap was applied to sore muscles, arthritic joints, swellings, and skin infections, also heated until it was black and mixed with bone marrow as a salve for burns. Part Distilled: Needles and twigs. Chemical composition high in Monoterpene family. This chemical family is known to be effective airborne deodorizers and purifiers. Also known to be anti-cancerous, effective for rheumatic/arthritic conditions, preventing bone loss amongst many attributes. This essential oil also has a high content of Bornyl Acetate which is known to be relaxing. 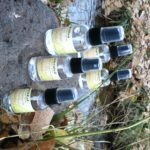 Scientific research of the essential oils isolated chemical compounds have found their actions to be: Anti-bacterial/fungal/inflammatory/oxidant/viral/spasmodic/rheumatic, analgesic, decongestant, mucolytic, expectorant, relaxing, rubefacient, immune supporting, generally strengthening, tonifying. -Diffuse to cleanse and purify air. -Blend with other pain relieving essential oils. -Apply regularly for arthritic/rheumatic conditions to relieve and heal. -Use for respiratory inhaler or apply to chest for respiratory conditions. -For traumatic muscle injury, or over use. -Apply to any area with inflammation. -A drop or two under the ears and a whiff up the nose helps relieve fatigue. -An excellent flu shield and medicine if flu stricken. -Stimulant of the adrenal cortex. -Allergy relief for the sinus system. -Balancing, inner rest/ strength, to relieve anxiety and tension and mental stress. -For those in final passage. Energetics: Mothering, gentle, loving, warming, holding, acceptance, balance, clarity, grounding, protection, purifying, restorative, up lifting. Can help remove energy blockages. 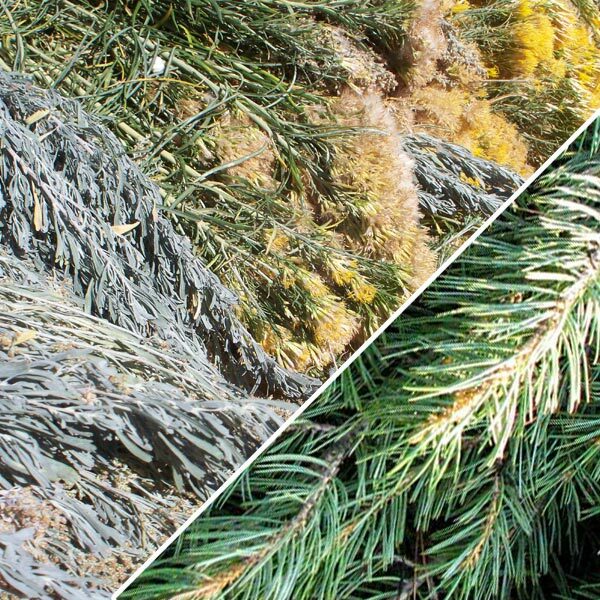 I think of Pinion Pine as the “Lavender” of Conifers. Blending: Both uplifting and grounding, great in an inhaler for congestions/respiratory relief, blends nicely with other Conifers. 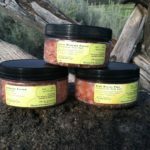 Use in any inflammation salve/balm. 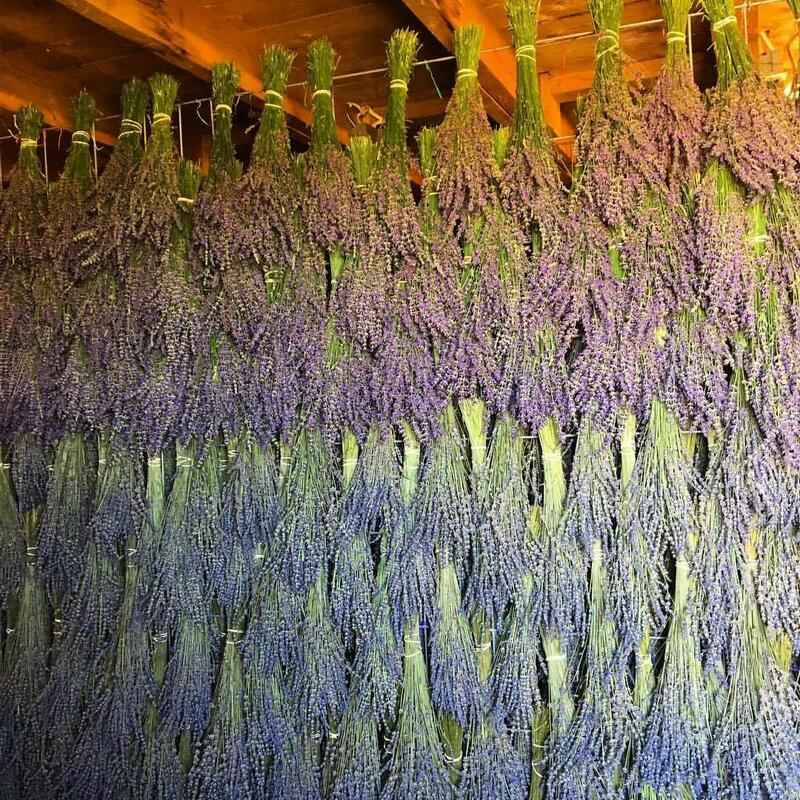 Aroma: Balsamic, coniferous, Earthy, fresh, piney, rich, woody. Safety: NOT FOR INTERNAL USE. Avoid eyes and orifices. Always do a small test drop on the back of your hand to check for allergic reaction or skin irritation before further application. Should irritation occur, apply any vegetable type oil such as olive to diffuse the chemical reactions. If you are pregnant or nursing, consult your mid-wife before using any essential oil! No ! FDA Approval. 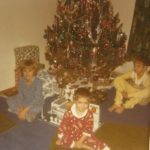 This article is not meant to diagnose or treat any disease or condition. This profile is for education about traditional uses and what scientific research is learning about the complexity of phyto-chemistry. Do not use this document to treat or diagnose any dis-ease.